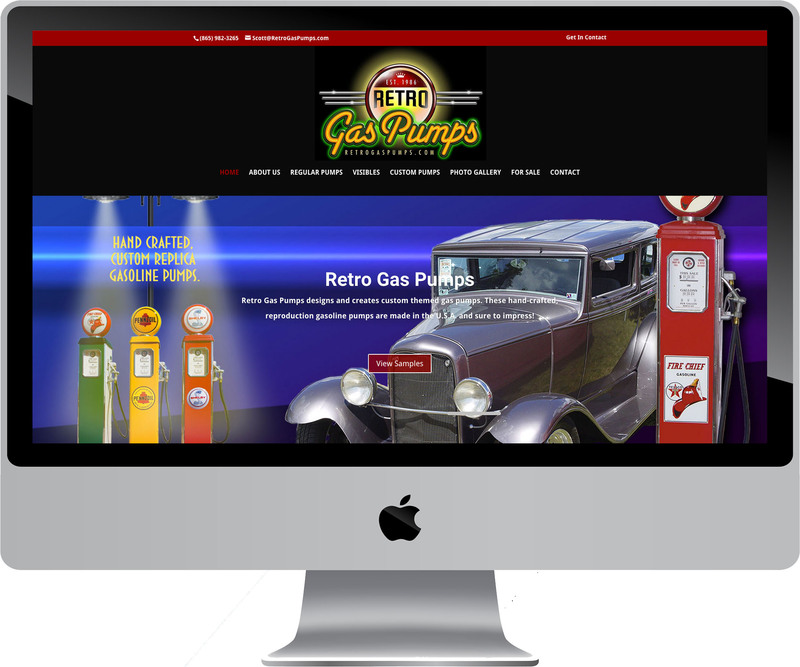 Retro Gas Pumps had the same old website for years, and it was time for an upgrade. 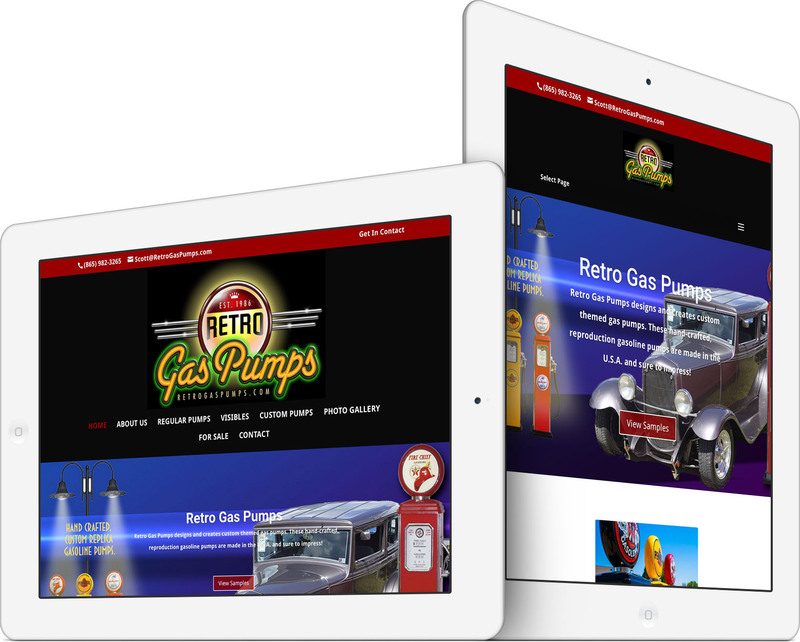 Summer 2015 Retro Gas Pumps owners hired Leighton Smith of Pioneer Media to upgrade and refresh their website. WordPress was still used, but now the site is secured, routinely backed up, tracked for visitors, monitored for search engine placement, and is well-maintained by Pioneer Media. The design is bold, modern and sticks with their red and black color scheme. Slick parallax effects and subtle animations keep visitors’ attention. An extensive photo gallery showcases their work and is divided by category. The new website is mobile-friendly, so it adapts to all screen sizes, from large desktops down to smartphones. 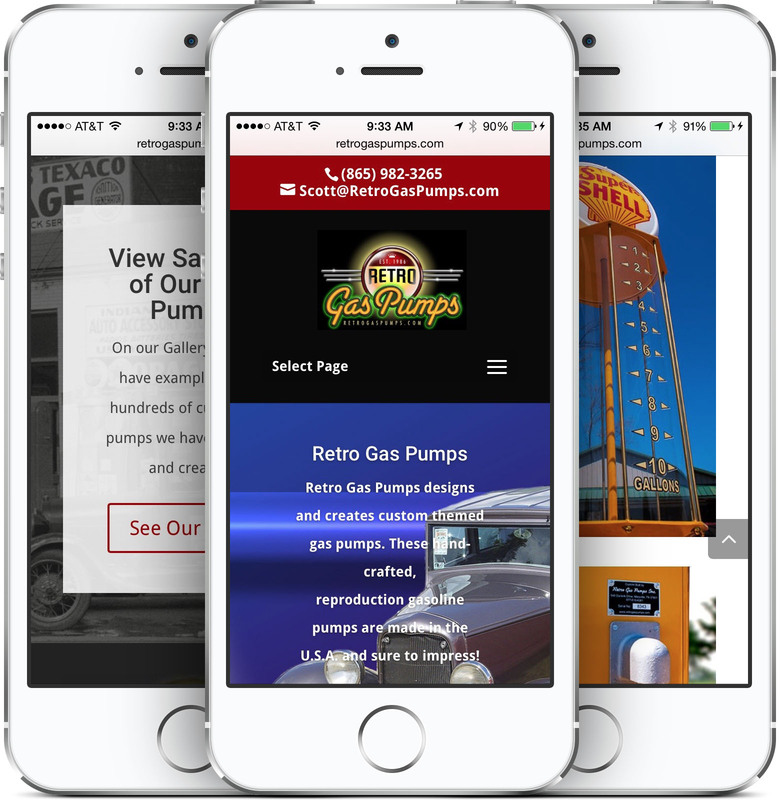 The owners are very pleased with their newly-redesigned website, and Pioneer Media actively provides website hosting, management and maintenance services for Retro Gas Pumps in Maryville, Tennessee. 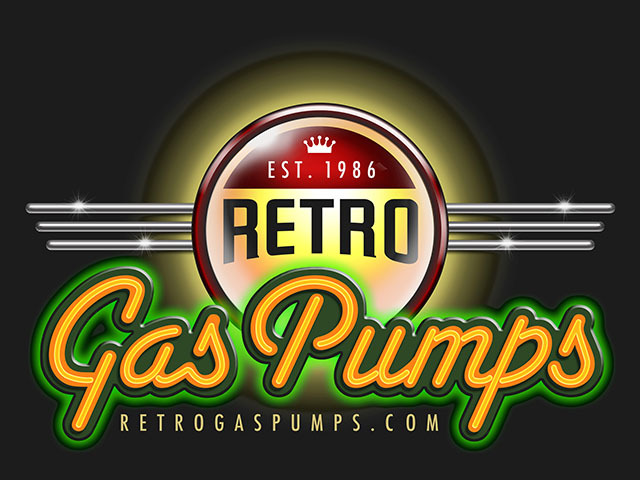 Retro Gas Pumps designs and creates custom themed gas pumps. These hand-crafted, reproduction gasoline pumps are made in the U.S.A. and sure to impress!